The Greek definition of ‘savour’ actually means to become insipid, to make as a simpleton, or to act or become foolish. The word ‘lost’ is not in the Greek. ‘Salt,’ in Greek, also figuratively means prudent, which in English means wise, discreet, circumspect, and sensible. In biblical times, salt reigned high on the importance and necessity ladder as it preserved food from spoiling, was used as an antiseptic, and was added to sacrifices. During those days, covenants were made between individuals, between a king and his people, between two groups or nations, or between God and a man or His people. This agreement required each party to make promises which were never to be broken – ever! If the two participants of a covenant ratified it with a meal, they used salt, which signified the custom of pledging friendship or confirming a binding compact, for when men ate together, they became friends, binding them in reconciliation and peace. It also symbolized preservation and a perpetual obligation. Once a person joined in a salt covenant with God or another person, he risked the penalty of being cast out if he breached his loyalty to his oath. 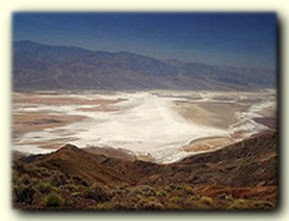 Salt symbolized covenant’s preservation from decay and the surrender of self to the Lord, eradicating all impurities and hypocrisy. It also indicated loyalty and living a life of wholesome character and speech, giving flavor to life. If we have made our covenant with God, are we living up to our perpetual obligation to be the Lord’s salt to the world? Do we have those qualities of salt within us that bring healing, preservation, and flavoring? Is our conversation full of grace and seasoned with salt? Without salt the world will decay and rot away! I pray that God uses me to the fullest as His salt to the Earth/World. Amen! Kimberly, You always bless me with your precious loyalty! Bless you! Hey, Sheila! Thanks so much for your comment! You are much appreciated! Bless you! Thanks so much, Shelley, for taking time to stop by and comment! Makes my heart very happy! Bless you! Dan, So sweet of you to take time to read and comment. I’m very honored. May the Lord bless you! LOL! Oh, Ricky-boy! You always make me laugh! Thank you for that! It makes my heart happy to know you find something informative in my writing. I always appreciate your dear comments! Bless you! I want to be salty enough to make one thirsty but not so salty that I overpower. Your posts are always seasoned with wisdom! ← More Than Conquerors ← Are You Poor in Spirit? Rejoice!